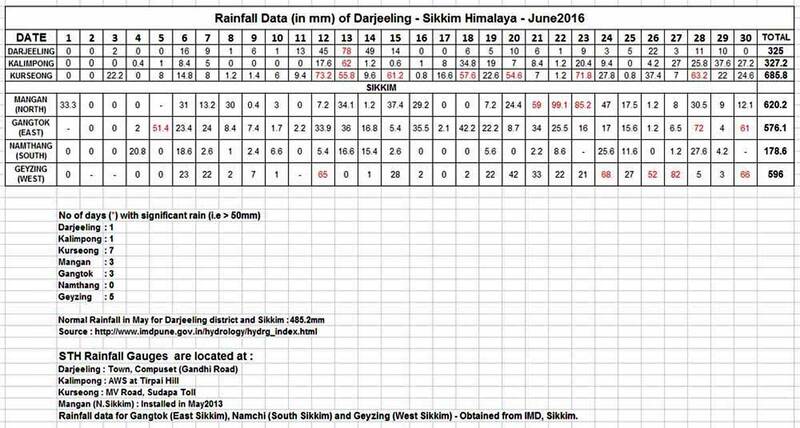 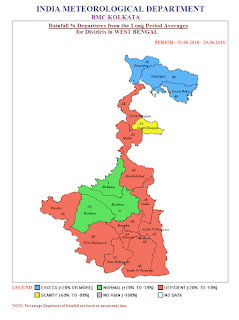 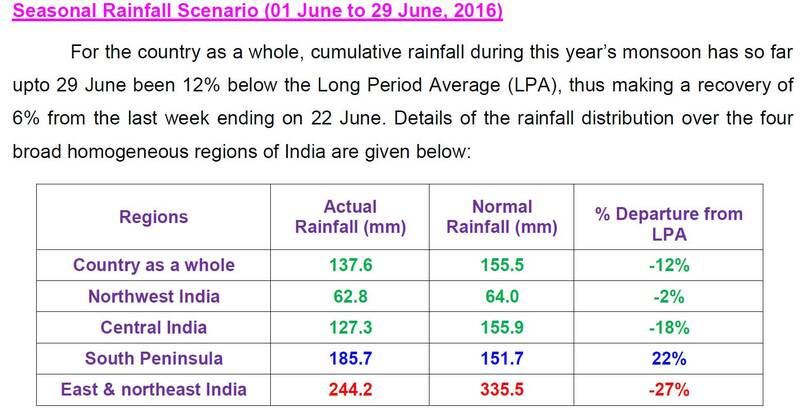 The monsoons arrived over the Darjeeling-Sikkim Himalaya almost 10 days late (14Jun instead of 05Jun2016), yet the first burst of rains after a drought-like situation brought in floods in many areas of Dooars and Alipur Duar. 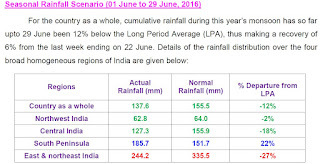 Many parts of Sikkim received heavy rains leading to the dams releasing excess water on the Teesta and Rangit rivers - this would have contributed to the flooding in Jalpaiguri. There were no major landslides in this region.